By October, as the weather turned and temperatures dropped, the situation at Berlin’s Office of Health and Social Affairs (LAGeSo) became increasingly desperate. People trying to register waited in pouring rain day in and day out, with no shelter provided. 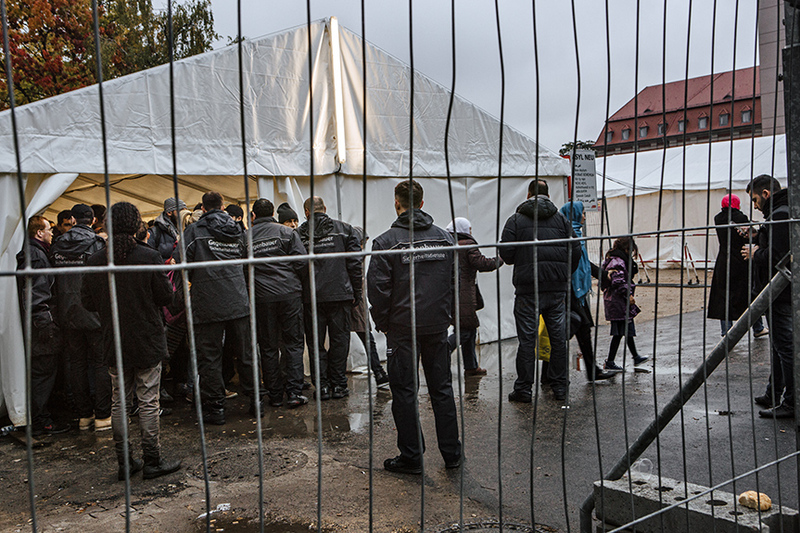 By the end of October, a new asylum processing office was inaugurated, and warming tents were erected as holding units to gather newly arriving refugees before transporting them to emergency shelters; however, there was no contingency plan for what to do about the backlog of several thousand people who were still in line under the old system and who continued to wait exposed to the elements.